Many of you have followed the development of the RD Sport RS-46 stroker motor. For those of you who haven't heard about it, the RS-46 is a 4.6L stroker motor for the E9x V8. Your motor is taken out, bored, stroked, and reassembled as a 4.6L motor. I was the fifth customer to sign up for the RS-46, however as fate would have it, I was the first customer to actually take delivery. In all of the other RS-46 related threads, I have mentioned that this motor is still under development, and some work remains to be completed. Specifically, the ECU tuning, intake port tuning, and camshaft testing remains to be completed. 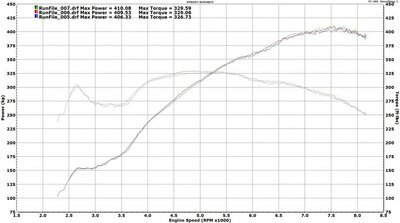 The dyno results below will demonstrate that this motor is nothing less than a stunning upgrade from the original 414bhp 4.0L configuration. Even when comparing the RS-46 motor to a standard 4.0L motor with every possible bolt-on, the RS-46 will still beat it by 75hp and 75 ft/lbs of torque. But the RS-46 motor is still a work-in-progress. 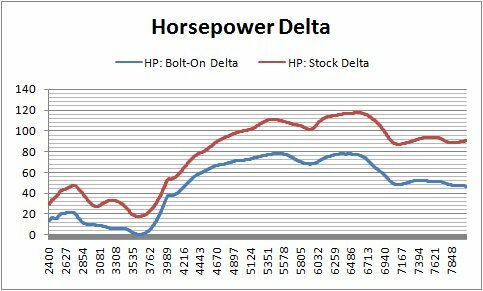 As you will see below in the dyno charts, there is a significant torque loss between 2500-3800 RPMs. 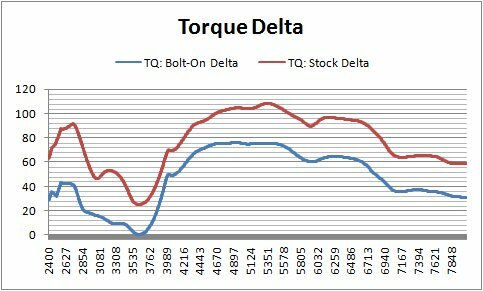 This torque loss is caused by the ECU significantly retarding the spark advance, then returning it back to normal by 3800 RPMs. 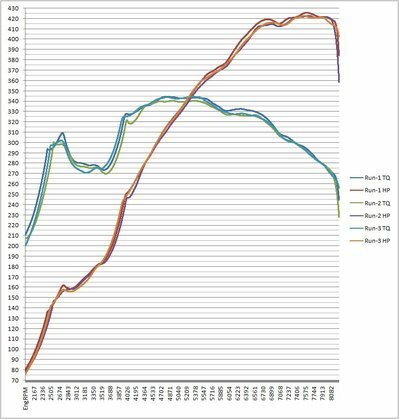 We know this is caused by ECU spark advance, because we have captured this data via the OBD port during the dyno runs; we see it happening, we know why it occurs, and we know how to tune the ECU to fix it. 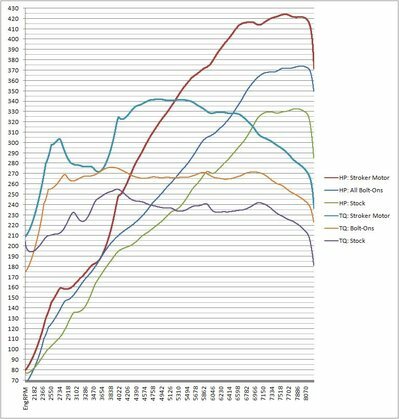 Once ECU tuning is completed, the dip in torque output will no longer exist. Imagine drawing a straight line through this area, and you would see what performance should exist when ECU tuning is completed. This page contains a single entry by PencilGeek published on April 18, 2009 4:30 PM. Video: RD Sport RS-46 BMW E92 M3 Stroker Motor; 520hp V8. First drive. was the previous entry in this blog. RD Sport Stroker Motor Review is the next entry in this blog.